Almost mystical this, I had no idea what to expect, and there are lots of surprises. 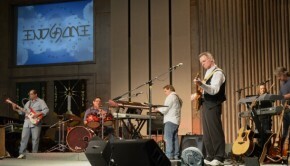 Imagine, if you will, a band whose influences seem to be Yes, Emerson Lake and Palmer, the rock musicals of Tim Rice and Andrew Lloyd Webber, the vocal talents of Bruce Dickinson and, well, how do I put this, God. The music is actually very good and if you’re looking for something Yes like the production is better than Yes’ recent output (Yes’ Heaven & Earth certainly splits opinion so I shall not opine any more than that…). 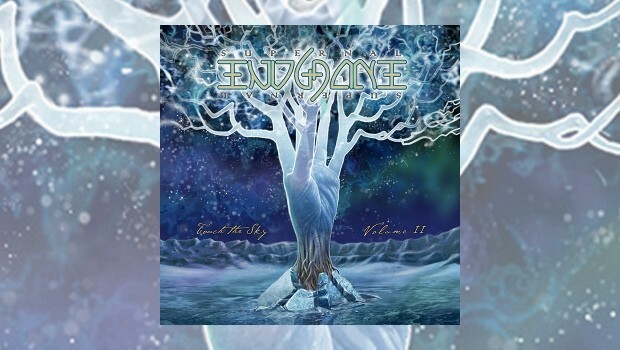 Supernal One (Eminence & Transcendence) has a lot to like if you enjoy Yes at their most Jazz influenced with lots of Wakeman/Emerson flourishes. It’s a good opener for the album, a cornucopia of styles giving an idea of what is to come. Different Stage sees Bruce Dickinson singing Asia with a dash of Yes and is a good place for flourishing keyboards and guitar solos; it feels like being transported back in time to the 80’s. It’s good, clever even, but I’m not sure I would have it on a steady rotation or in the car CD changer for weeks. Hunt around the internet and you’ll find that the band describe their music as “Jazzy/Fusion”, a fair description. Again & Again – is that the lyric? Sorry, despite liking the music I find some of the words and lyrical themes a little repetitive – is a good song, again reminiscent of mid-order Yes with both vocalists impressing. Spirogyra and Brand X go on a double date with Yes and Camel in Eden’s Song, an epic tune and possibly for me the stand out track. The vocals are both passive and at times soaring, nice solos abound and it is the one that plays in your head after the album is back in the jewel case. S.O.S. (Save Me) is something for the Christian Rock DAB radio station; an anthemic sing-a-long – “Save me, save me from me…”, you get the drift. Immutable is a nice tune but does actually feel like a hymn and akin to a song that escaped from Jesus Christ Superstar. It has a show tune feel but it isn’t bad. Maybe a bit formulaic, but not bad. White Flag is a return to bombastic 90125 Yes with hints of Queen and the Bruce Dickinson style vocals again. The music across the album is different enough, broad even. It engages, but…I can’t say why, but I need to listen to something very, very different post this album. Swim In Your Ocean is a ballad with a metaphor, lots of metaphors; in for the krill…feeling a little seasick. Nothing wrong with the music but, oh, those lyrics. Chris De Burgh at his worst. The instrumental Orwelled is all Room 101 – ’nuff said – and Endgame is Yes, but not Turn of the Century or Awaken, or even one of the earlier epics. It is like reading the New International Bible set to music; evangelical, musically inspirational even, but I think not for me. I love some of the solo interplays, it feels like Yes but overall it’s a No. I love the Rick Wakeman-esque keyboards, the Steve Howe guitar stylings but I miss Jon Anderson’s voice (which is an instrument in itself). There is nothing wrong with the singing, the song, anything really, but I think you need to know what to expect. Blessed be their fervour. I have felt at times love for this album, frustration and the desire to change the CD – Nana Mouskouri, where are you when I need you? I jest! It is like one of those buffet meals, a lot to please and tempt you but you can’t eat it all in one sitting. I cannot condemn it because I do like it, but nor can I say it is a must have; you will love it or hate it, and sometimes both. But hey, that’s music for you. The Devil does not have all the best tunes, there really is much to enjoy here, some superb music, but I may need to listen to a little Slipknot to benefit from the contrasts.